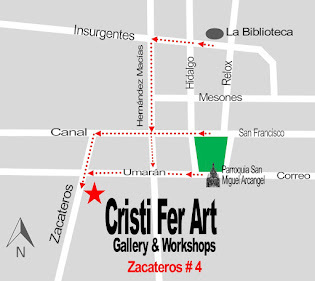 Cristi Fer Art Gallery and Workshops, in San Miguel de Allende, Mexico: Traveling to San Miguel de Allende this holiday season 2017-2018? 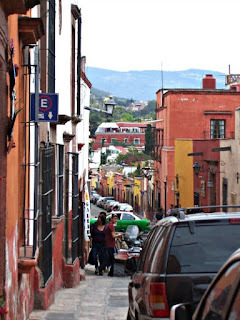 Traveling to San Miguel de Allende this holiday season 2017-2018? Consider taking a 1/2 a day or a full day painting workshop with the number 1 in painting workshops in San Miguel de Allende! Located in the historical center we, at Cristi Fer Art Gallery and Workshops are professional painters of 35 years and teaching adults since 1989. 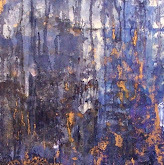 We will hold workshops during Thanksgiving, Christmas and New Year Day! Note that most of the other workshop facilitators in San Miguel only started painting after retirement, and held jobs such as teachers in elementary schools or art curator (which does not require hand on painting experience). Learn from #1 in San Miguel de Allende! Contact us today via contact form to reserve your space!